When you're living in a dorm room or apartment, or any other situation where you'll be relocating sooner than later, purchasing custom wallpaper can seem daunting. 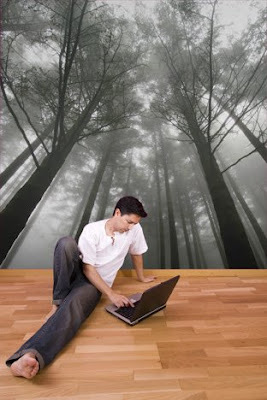 Why purchase and install a custom wall mural only to have to leave it behind when you move? If you have the image you want printed as a mural and you don't own your home, we have the perfect solution: custom wallpaper with a repositionable adhesive. Our repositionable wallpaper is basically a peel and stick wallpaper. The wallpaper adhesive's formulation is such that you may put the material up on your wall and take it down several times. The key is to hold onto each panels' backing paper so that when you do remove your custom wall mural, it can be placed back on it's backing to protect the adhesive. Additionally, our repositionable custom wallpaper won't damage the wall or leave any residue, a must for apartment and dorm rooms. The peel and stick nature of the wallpaper makes installation very easy, no need to hire a professional wallpaper installer to put your mural up or take it down. So don't let your current living situation stand in your way of having the custom wallpaper installation you've been dreaming of; our repositionable wallpaper allows you to take your wall mural anywhere you go.